This pattern has been a long time coming. 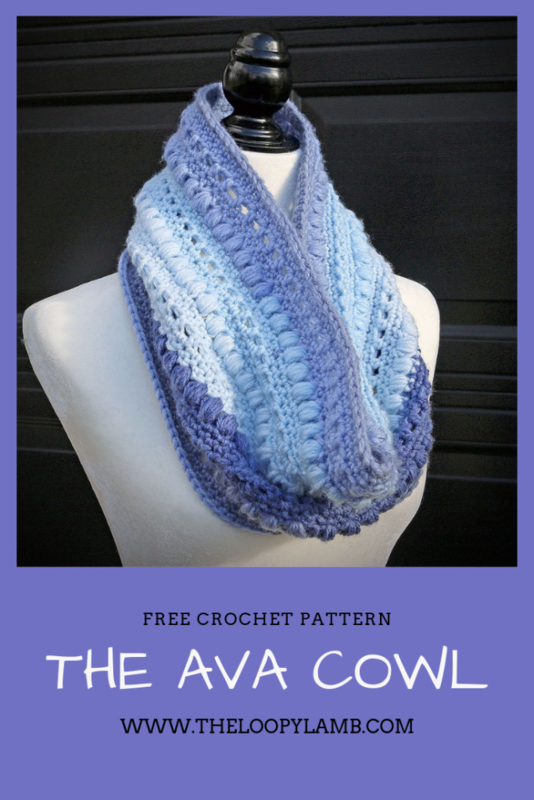 I initially posted a picture of my first Ava Cowl on Instagram in the Fall of 2018. I liked the aesthetic of the cowl however, I just wasn’t happy with it. So I tweaked it and tweaked it. Then, to be honest, I would put it down for a while because I would get distracted and move on to one of my other works in progress. 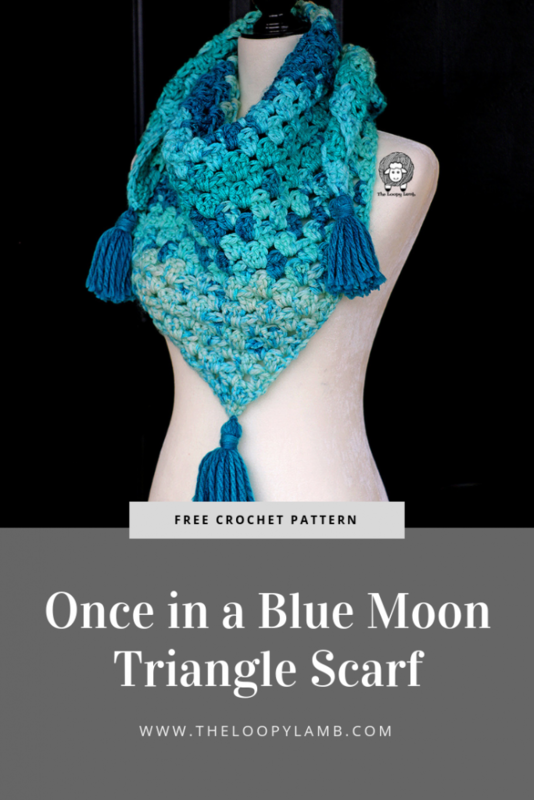 But, thanks to the many people that loved it and messaged me asking me for the pattern, I perservered rather than letting this design disappear into my wip pile. 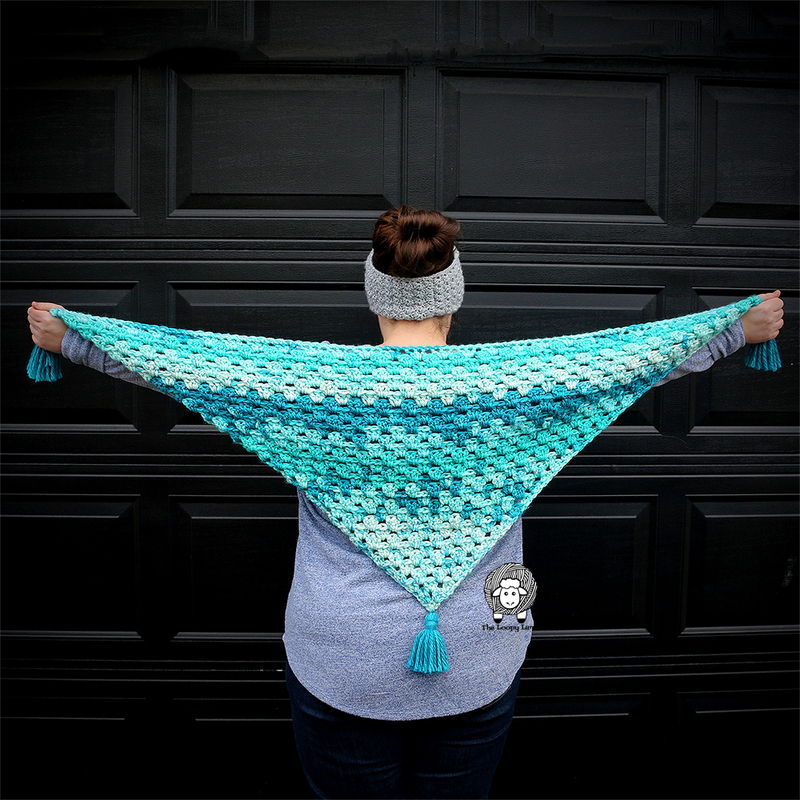 My initial plan was to use up some of the Bernat Pop that I had in my stash but also to create a pattern that could be done utilizing only one skein of Bernat Pop. 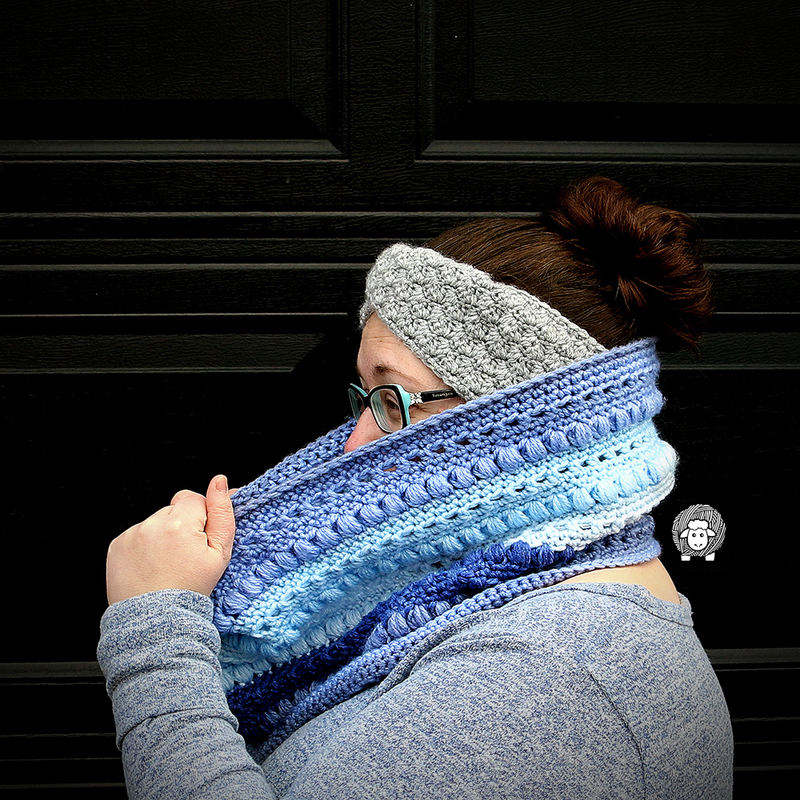 Everytime I tweaked something I would end up with too much yarn left over and when I say I want to use one skein, I mean that I want to use as much of that skein as I can and waste as little as possible. If you stick to the gauge, you’ll be able to use the full skein with very little waste – maybe 2 to 3 feet of yarn remaining. 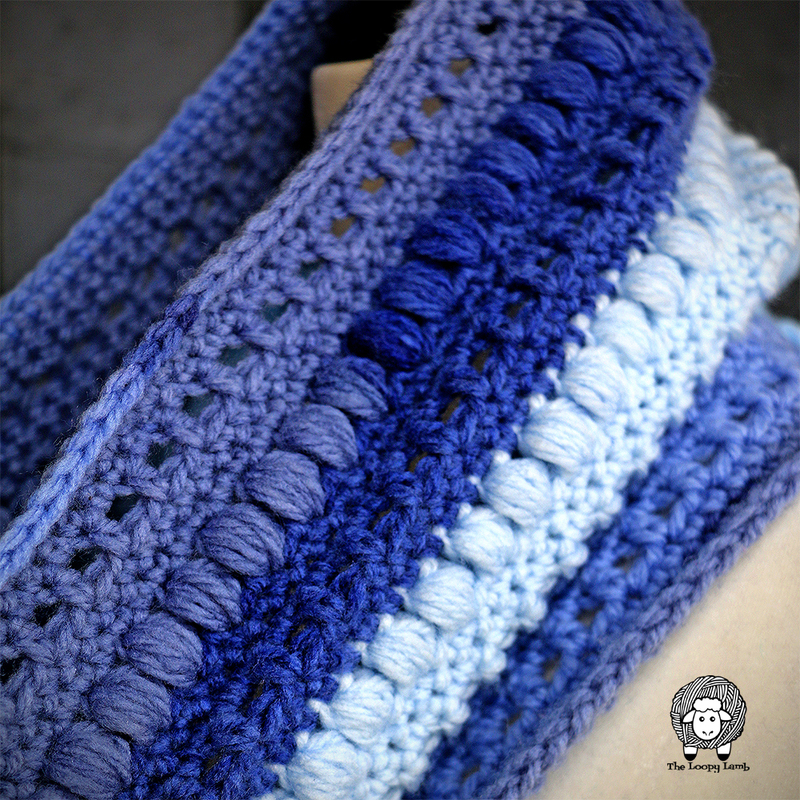 Puff Stitch: Yarn over and insert hook into designated stitch. 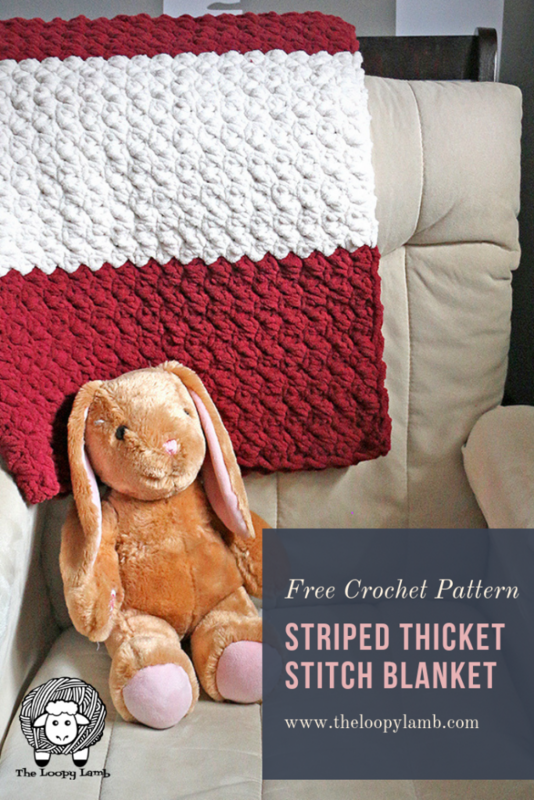 Yarn over and pull through stitch. There will be three loops on your stitch. Repeat this four more times. You will have a total of eleven loops on the hook. Yarn over and pull through all loops on the hook. Chain one to secure the stitch. Instructions within the asterisks (*) are to be repeated. CH 110. Join with a sl st to form a circle. Make sure your chain isn’t twisted before joining. 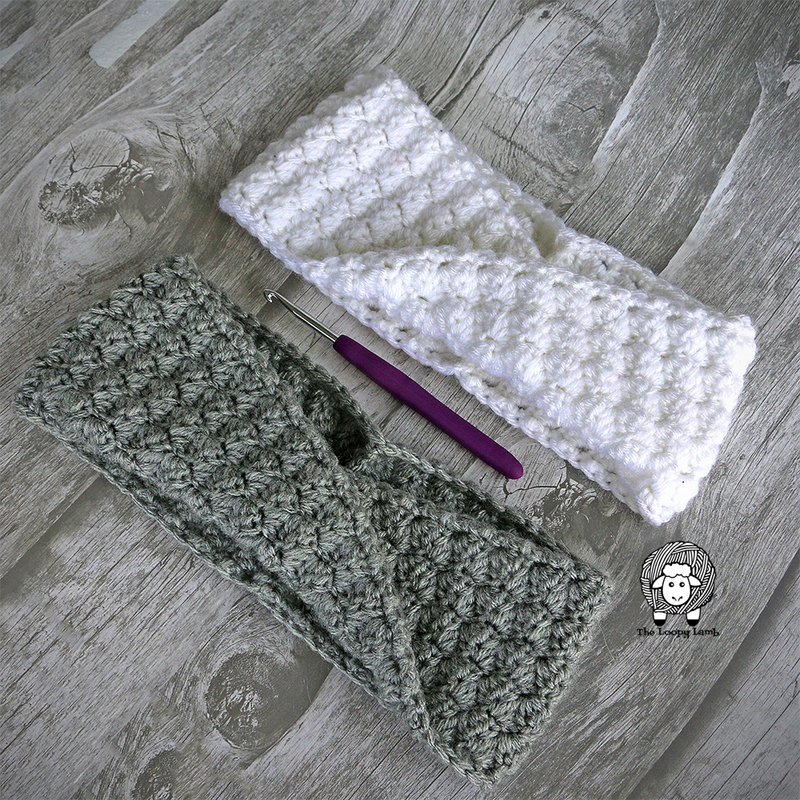 I love a good ear warmer pattern. 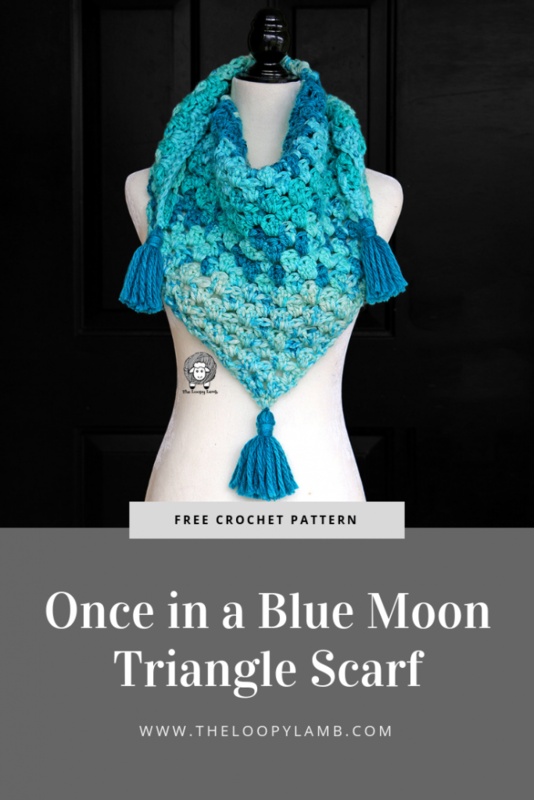 And this free crochet ear warmer pattern is simply beautiful but with a bit of a twist…literally. 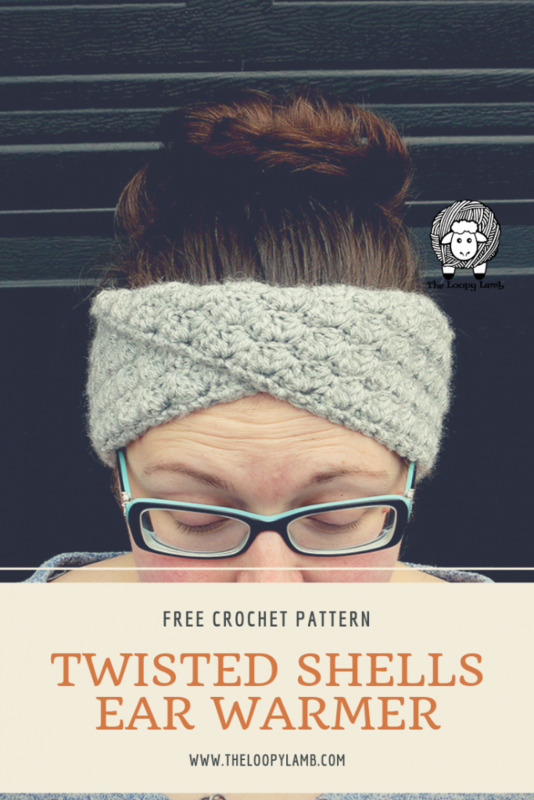 The twisted shells ear warmer has a slight twist in it that when worn, looks like it is kind of crossed or wrapped on your head. 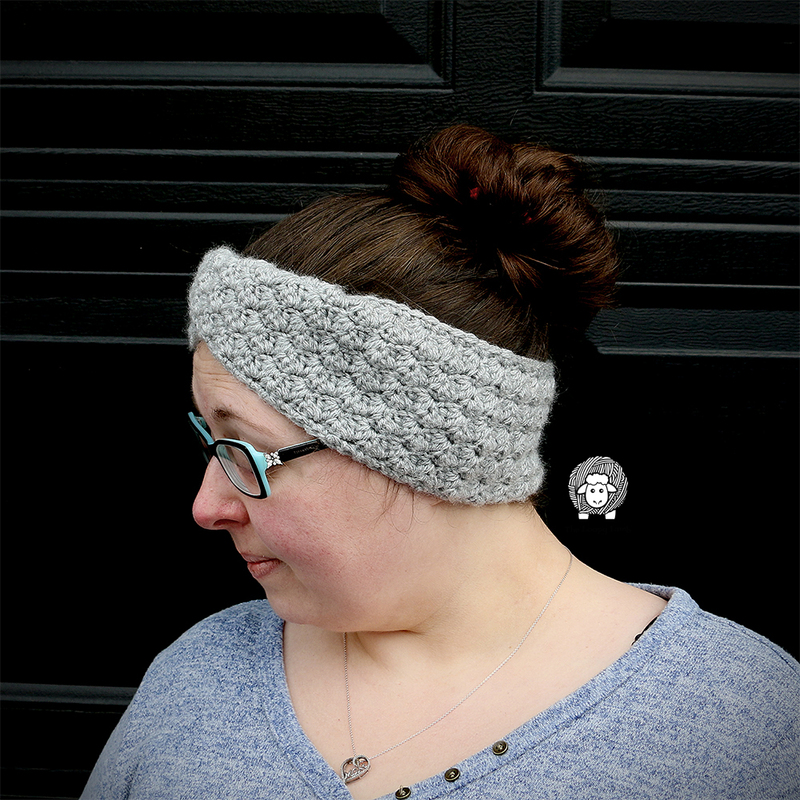 This type of ear warmer looks great on everyone and can be worn a few different ways. I like to wear mine with the point created by the twist pointing up since it makes my round face appear a little less round (BONUS!). 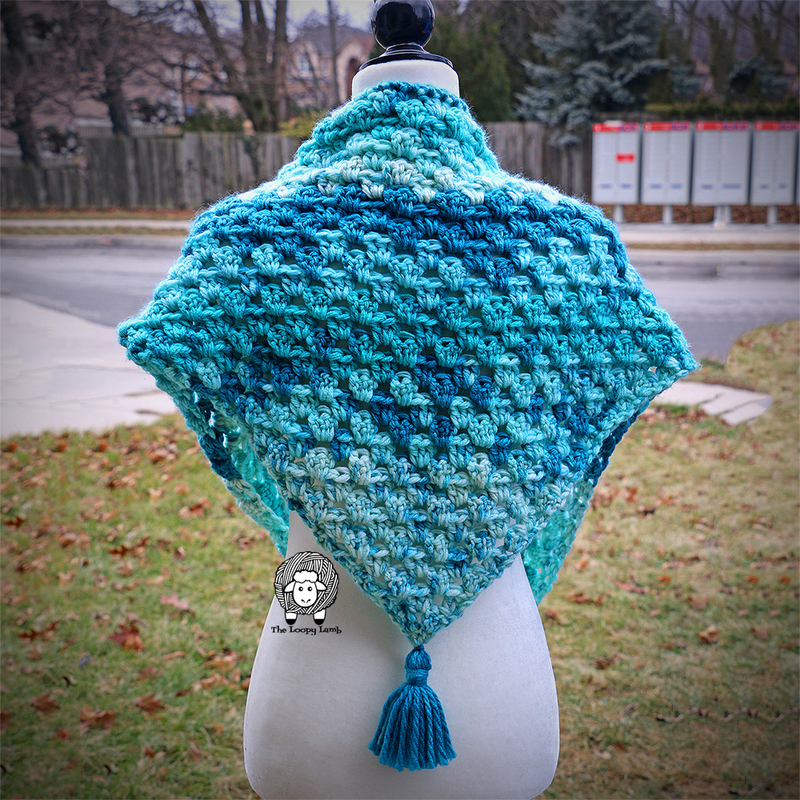 Here I’ve used Lion Brand’s Vanna’s Choice yarn but you can substitute any other comparable worsted weight yarn that fits your fancy. Just make sure that you match gauge so you don’t end up with a ear warmer that doesn’t fit. 1 skein of Lion Brand Vanna’s Choice Yarn or another worsted weight yarn. 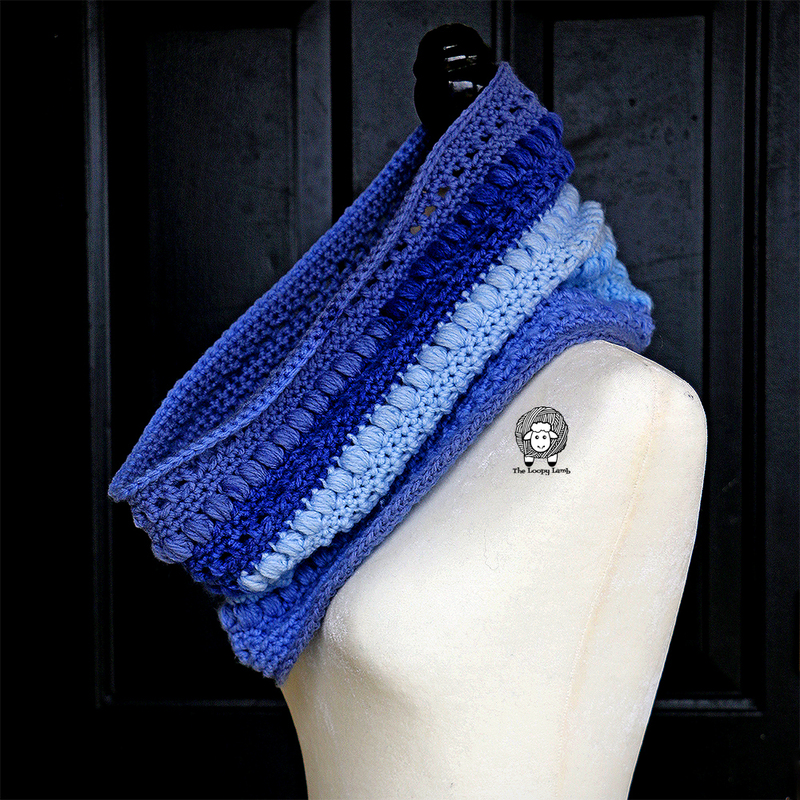 I’m using Vanna’s Choice in Silver Heather. 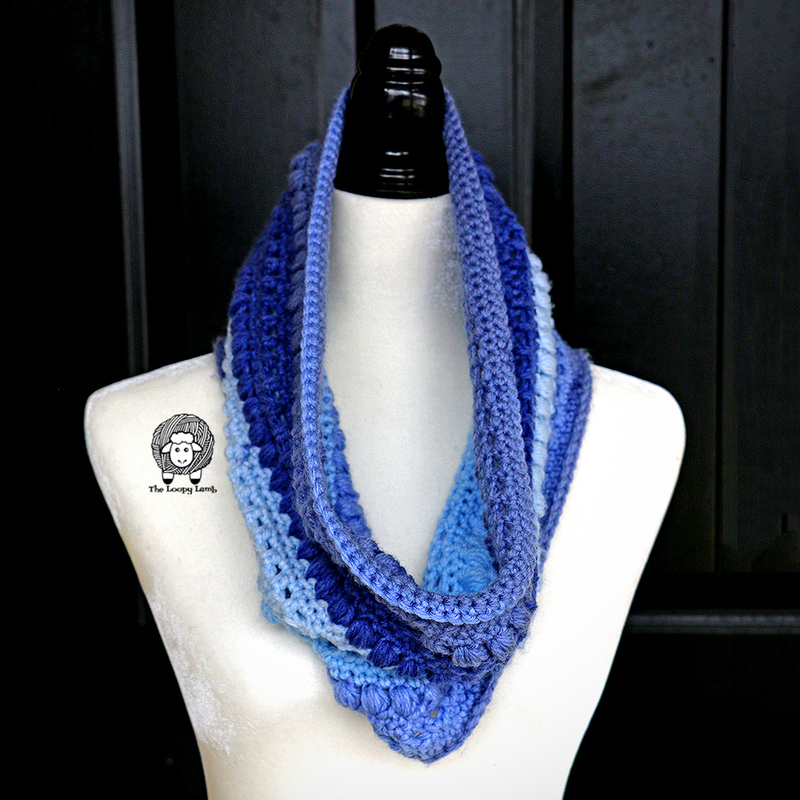 Repeat Row 2 until the piece measures approximately 21 inches long or until it fits snugly around your heard. 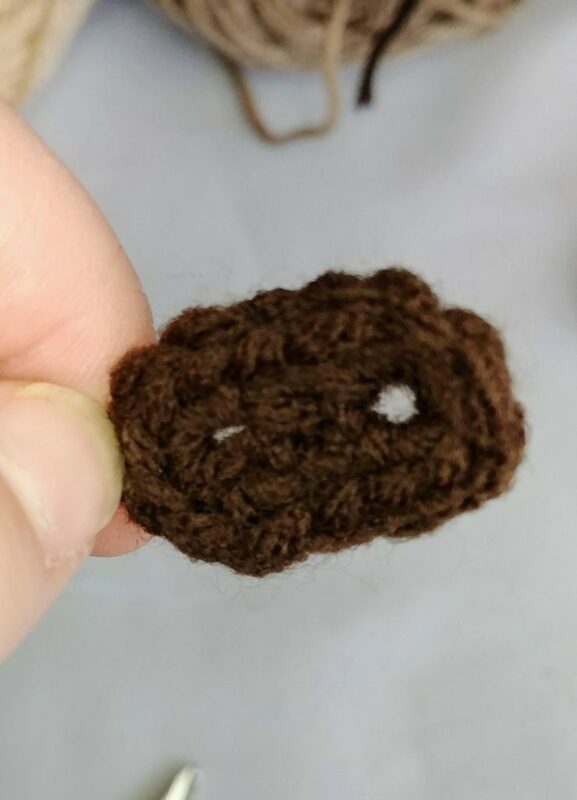 When the piece reaches the desired length, twist it once and join the ends together. 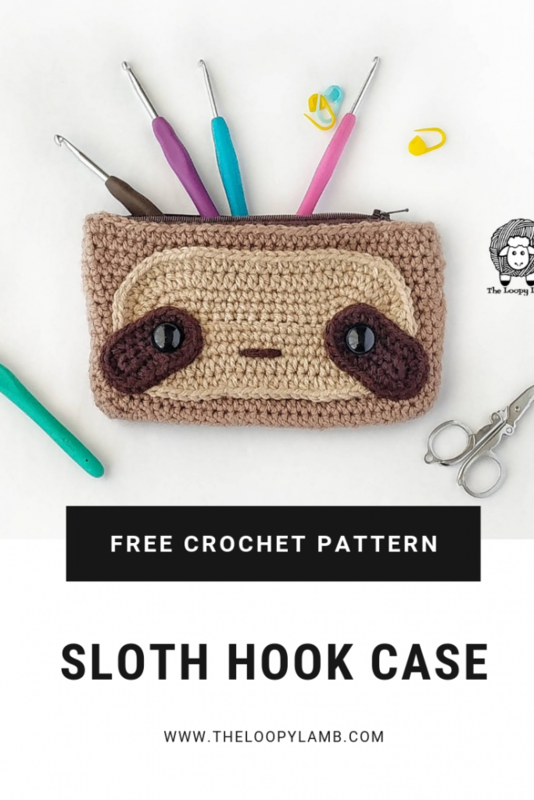 Slip stitch the ends together and SC around the entire piece. FO and weave in your ends. 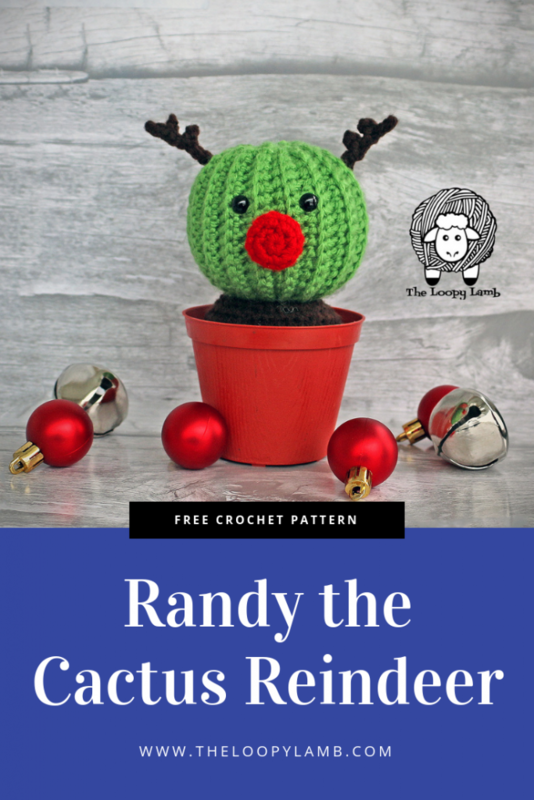 It’s beginning to look a lot like Christmas around here and I am back with another Christmas cactus pattern this week. It’s called the Saint Prickolaus Cactus Cuddler! 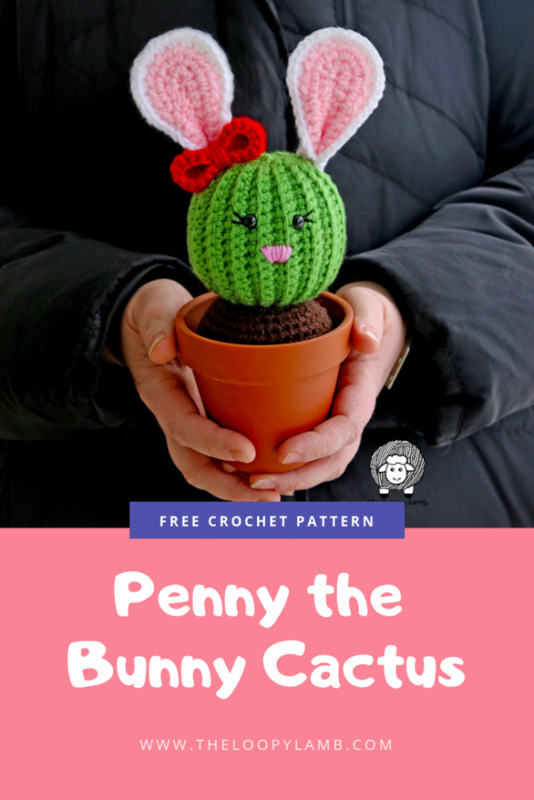 Related to his much tinier relative Saint Prickolaus, the Saint Prickolaus Cactus Cuddler is a giant amigurumi that is made with Bernat Blanket yarn, making it PERFECT for cuddling. 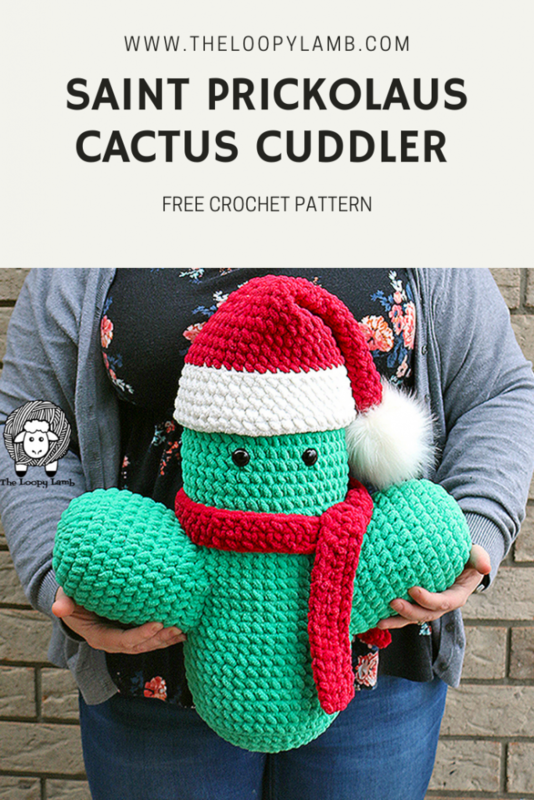 When the original Saint Prickolaus pattern was released for the 30 Days of Cozy Bundle, a lot of people kept telling me that Saint Prickolaus was the only cactus that they wanted to cuddle. 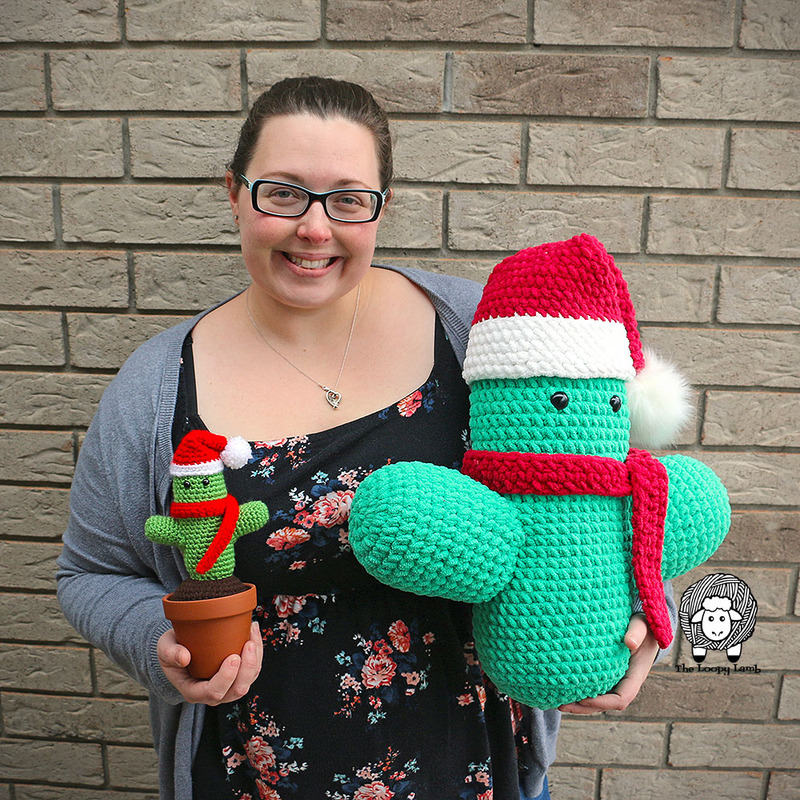 It gave me the idea to make a cuddle sized cactus friend. My kids are completely obsessed with this. My son cuddles it when he is watching TV when he gets home from school. I’m going to have to make a second giant amigurumi so they each have one. 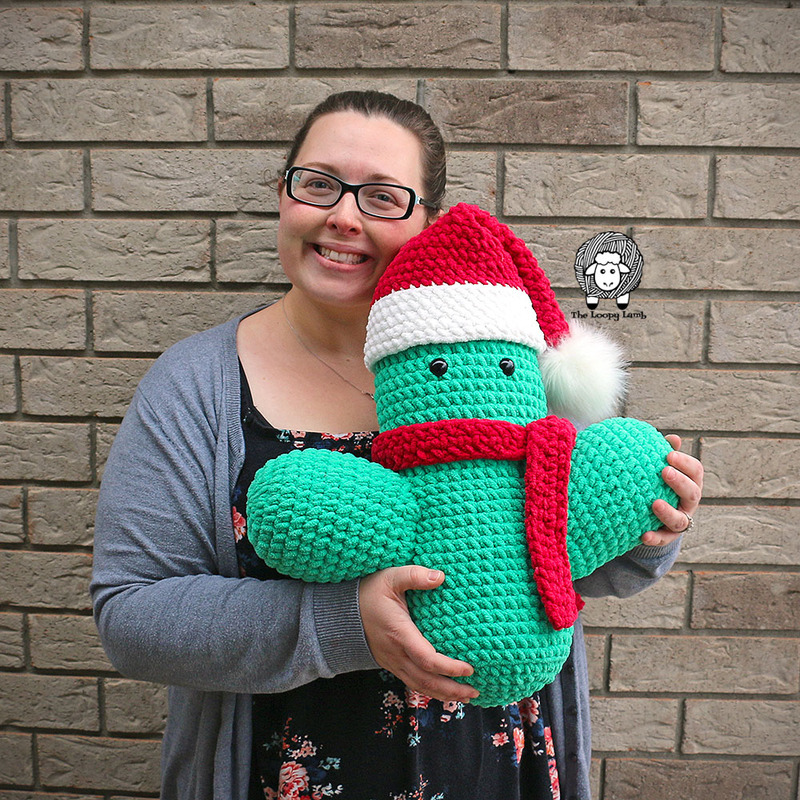 With a Santa Hat and scarf, the Saint Prickolaus Cactus Cuddler is all ready for the holiday season. 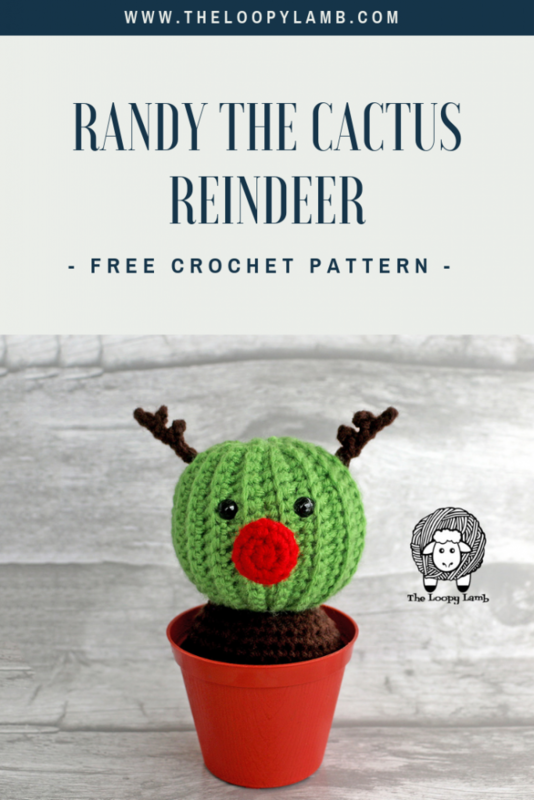 Use him as holiday decor or a fun holiday-themed toy for kids. 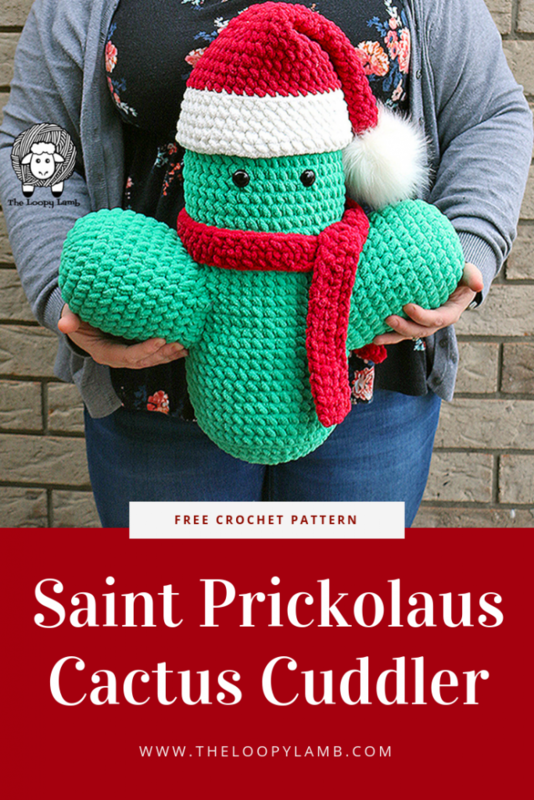 I have designed the hat for the Saint Prickolaus Cactus Cuddler to fit snugly on his head to make sewing the hat on unnecessary. You may have to tug it on him a little. 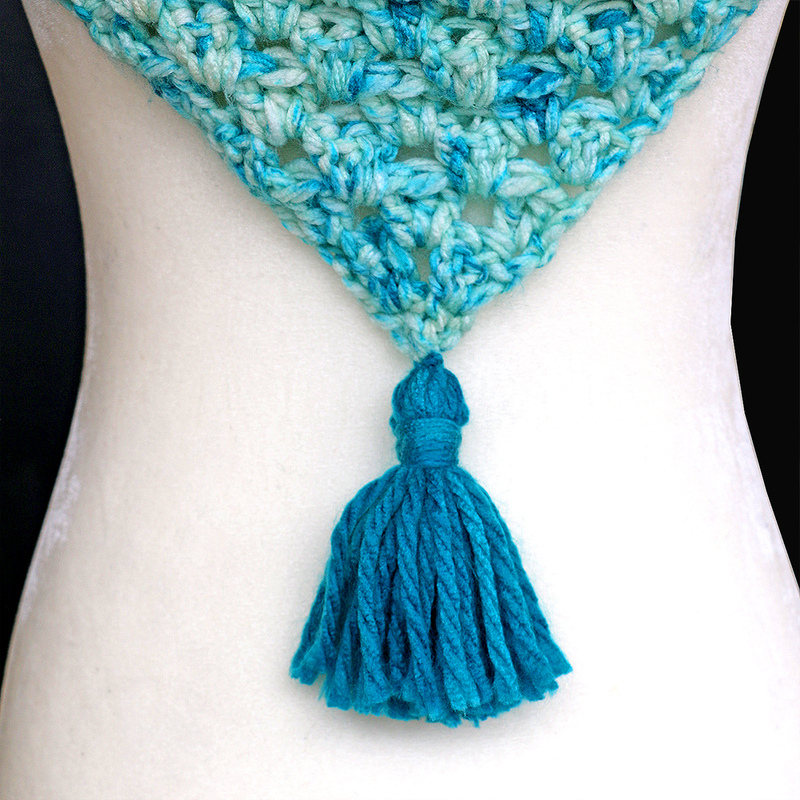 I’ve used a faux fur pompom because I LOVE them but any kind of pom pom will do. 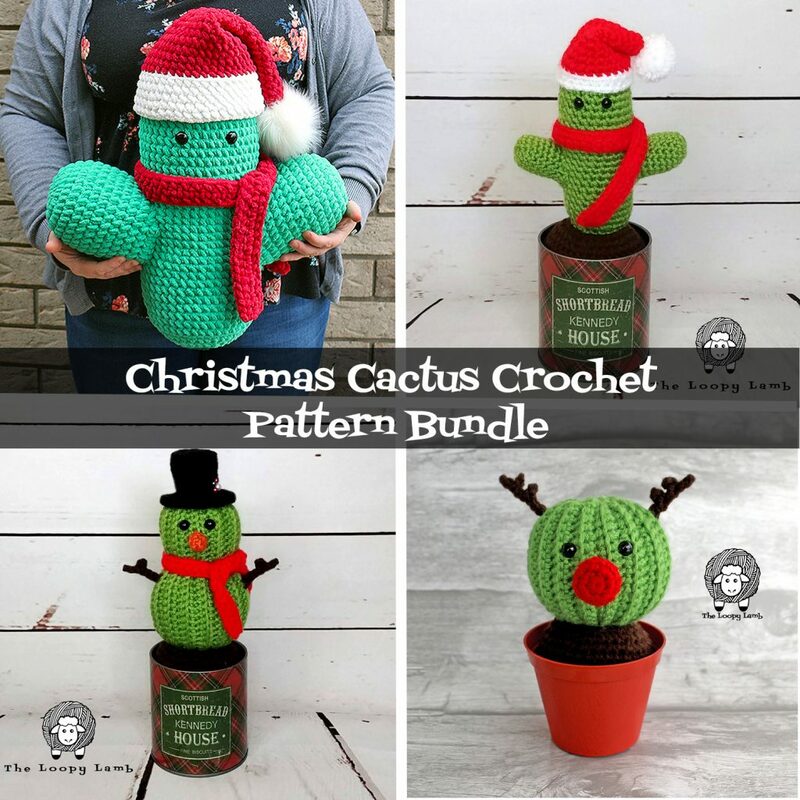 I have been having a ton of fun making these Christmas Cactus patterns and I hope you all have enjoyed them. 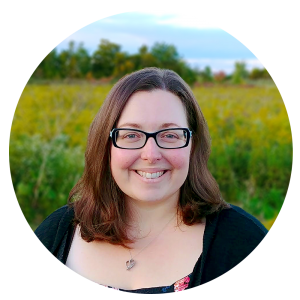 I’m going to be starting my planning for next year’s blog posts and crochet patterns and I want to hear from you! Let me know what you would like to see more of on the blog next year. 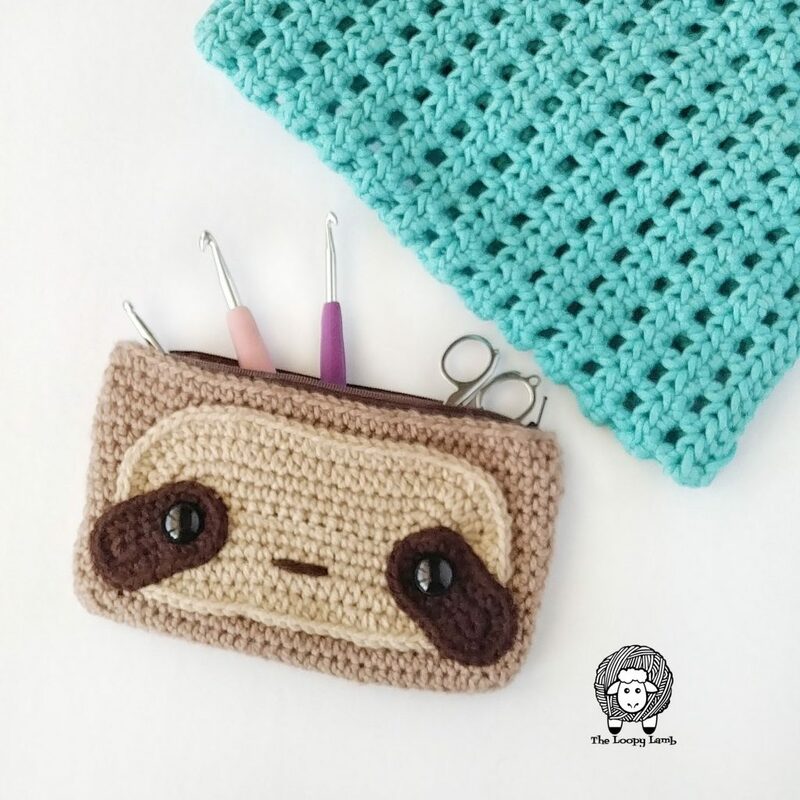 More amigurumi patterns? More baby stuff? 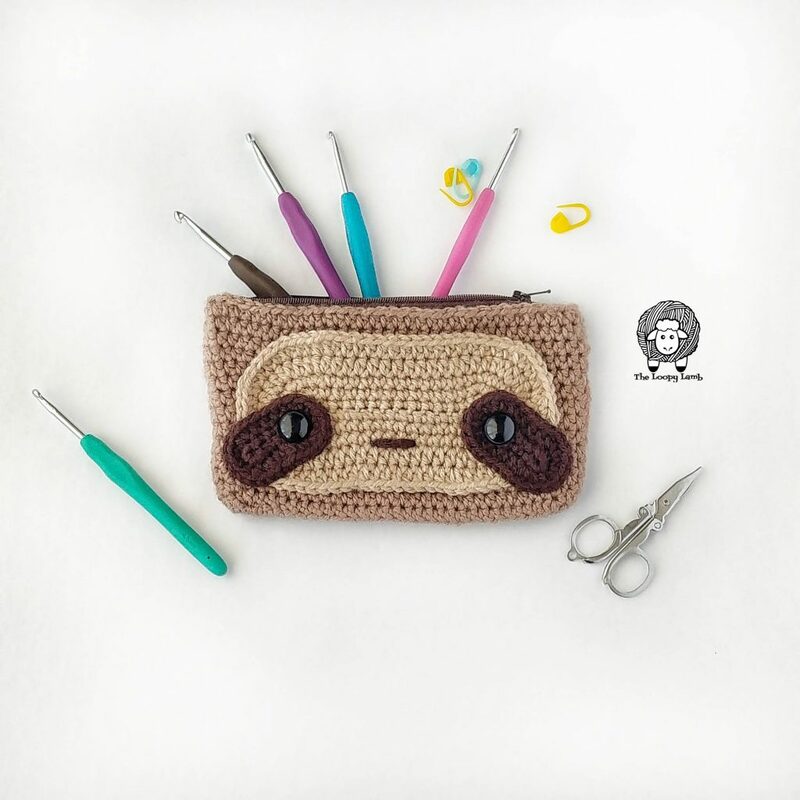 Tutorials on how to do different stitches? I love you guys and want to give you more of what you want so let me know in the comments below! 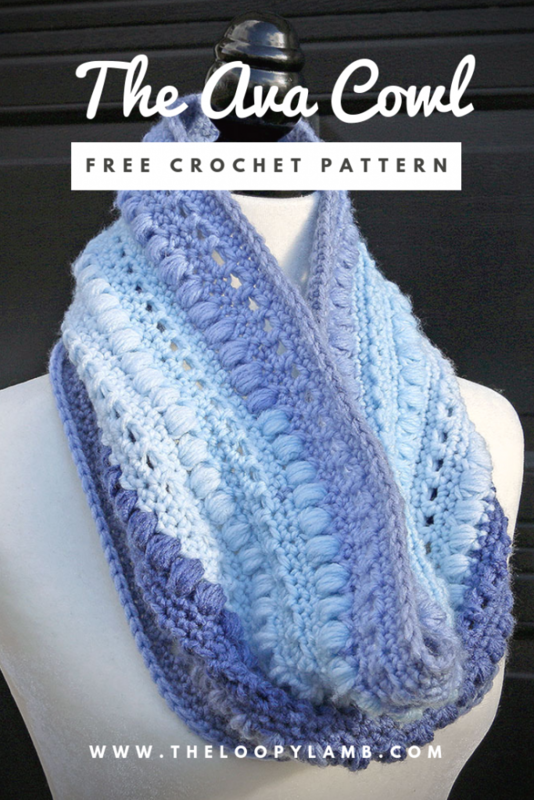 Get the Ad-Free PDF Version of this pattern HERE for a very small fee. 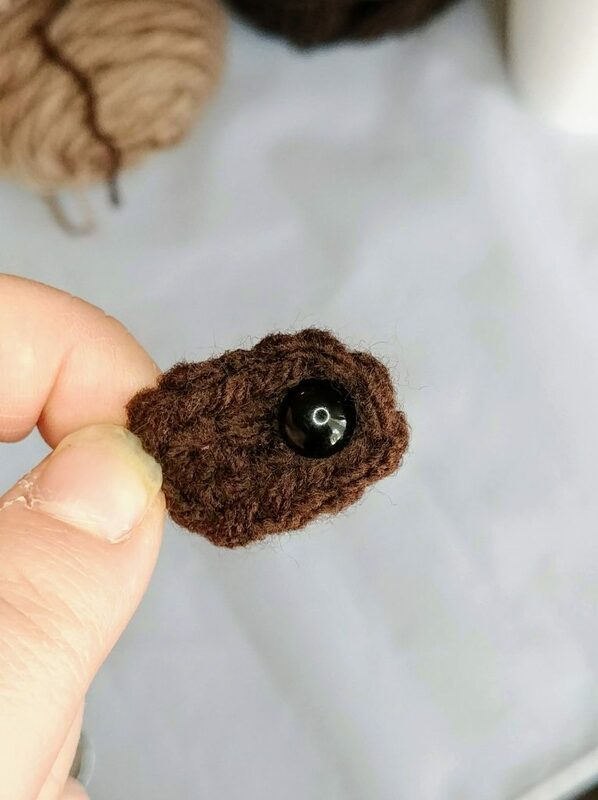 PomPom – I’m using a fur pompom (HERE) but any pompom you choose will work. Measurement(s): Approximately 19” tall from bottom of cactus to top of hat once assembled. • No matter your skill level, I always suggest that you read through the pattern from beginning to end before beginning your work just to be sure you don’t have any questions that might cause frustration in the midst of your project. • Instructions within the brackets () are to be repeated the number of times specified next to the brackets. Insert safety eyes in Row 14, with 2 stitches in between them. Stuff the body of the cactus as you go. Start stuffing the cactus and continue stuffing as you go from this point on. FO and sew body onto the soil. FO leaving a long tail for sewing onto each side of the body. Attach an arm onto either side of the body. 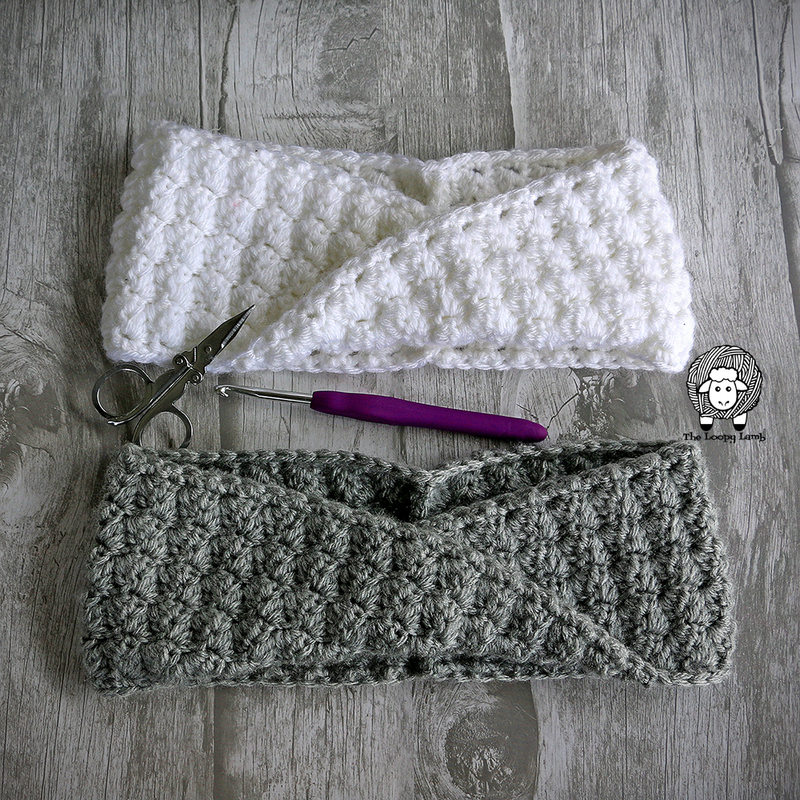 Using white yarn and 6.5mm hook, CH 42. Join with a sl st to first ch to form a ring. 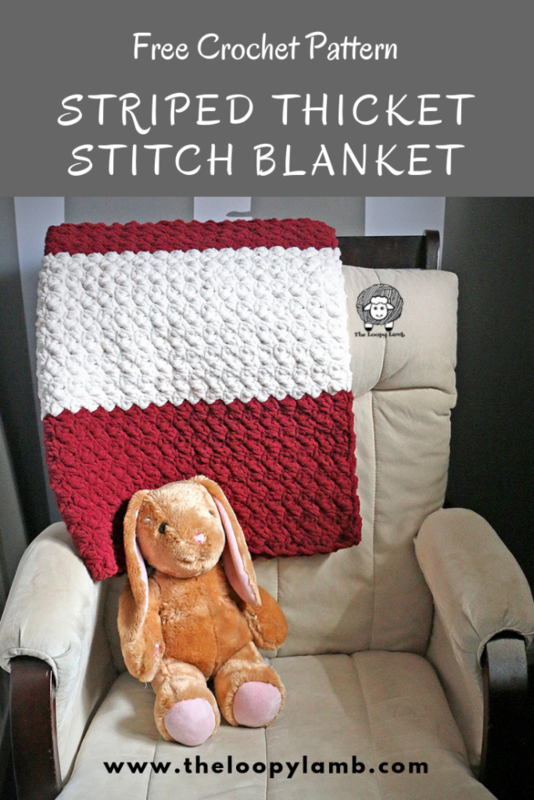 Switch to red yarn. The rest of the hat will be worked in rounds. 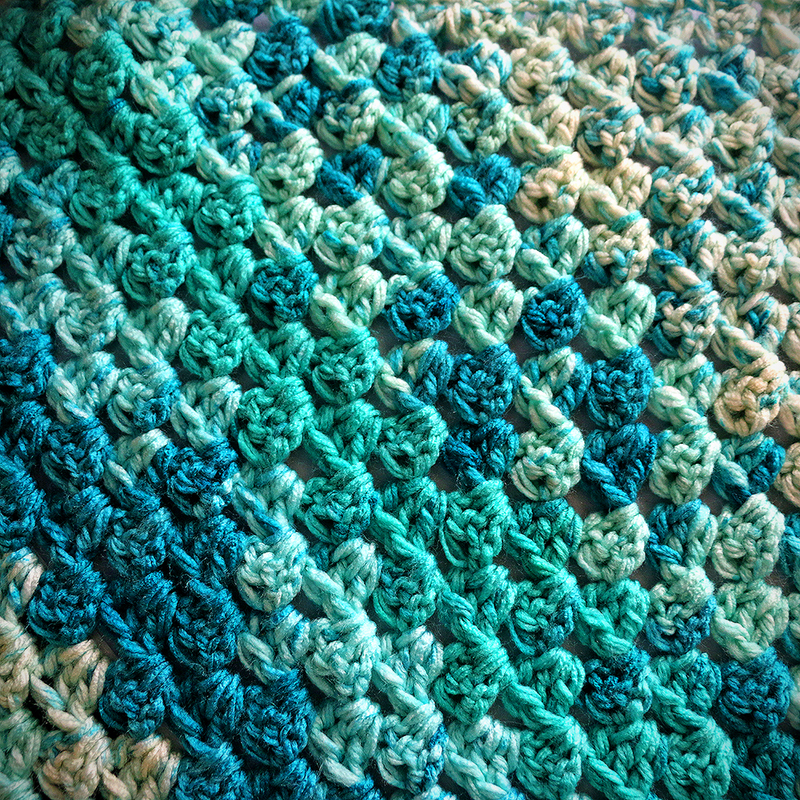 Row 28: SC in each stitch around. FO leaving a long tail. Secure pompom to hat. Bend the top of the hat off to one side and use the tail to secure the tip of the hat to the side of the hat. Weave in your ends. 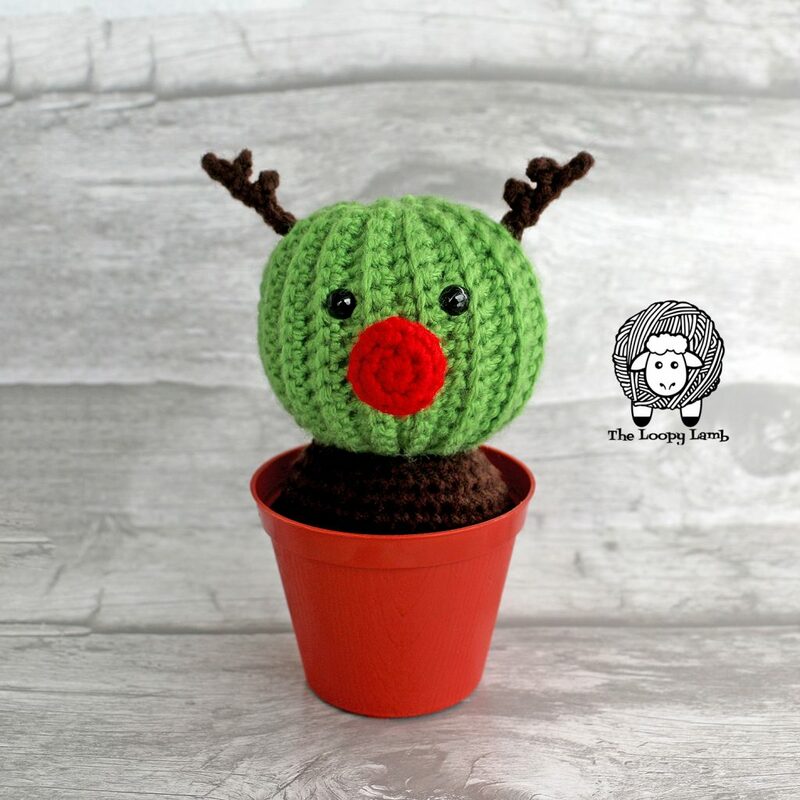 It will be a snug fit getting it onto the cactus so the hat should be able to stay on the cactus without sewing it to the cactus however, feel free to sew it to the cactus if you feel it is needed. Using red yarn and 7.0mm hook, CH 81. FO and weave in ends. 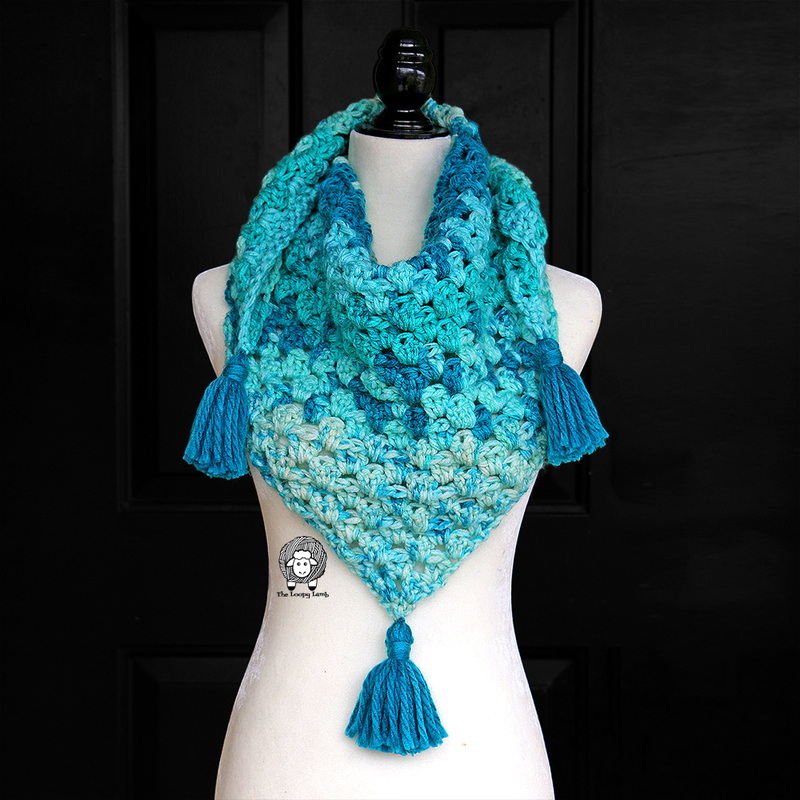 Wrap the scarf around the cactus body, just above the arms and either sew onto body at the point where the scarf crosses over itself or tie the scarf onto the cactus. 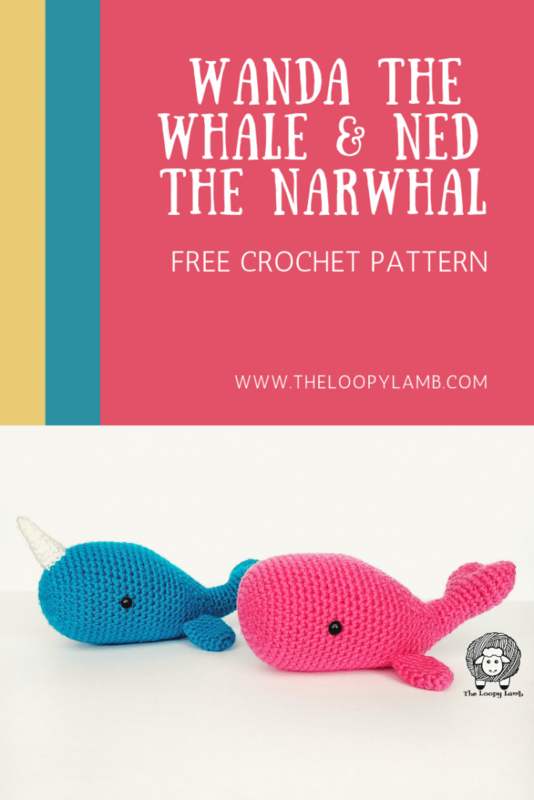 If you encounter any difficulties or have questions about the pattern, please feel free to contact me at theloopylamb@hotmail.com. I’ll do whatever I can to help.